Click HERE for a list of IEC 61850 related publications - many are older than three years. zu einem ***unschlagbaren Jubiläums-Sonderpreis*** von 750 Euro (netto) an! Hier für das Anmeldeformular klicken. Bei der Anmeldung bitte den Sonderpreis vermerken! Wir haben mehr als 4.300 Experten in mehr als 240 Kursen geschult - überall auf der Welt! Wir bieten Ihnen auch gerne ein Inhouse-Seminar an. Wir würden uns freuen, Sie am 05.12. in Karlsruhe - direkt neben dem Weihnachtsmarkt - begrüßen zu können! New sub-chapter 5.3.6 describes the engineering tool workflow and its chronology (which SCL files are exchanged in between configuration tools) through 3 use cases: the classical use case, the change of system tool and the interaction between 2 projects. New sub-chapter 6.4 talks about backward compatibility and deals with replacement or extension whatever the component is provided by the same or different manufacturer. To do so, it scrutinizes through 4 use cases, what kind of impacts could be acceptable for IED or tools. The CDV (committee draft for vote) is accessible for PUBLIC comments by every interested person. These extensions answer a couple of questions that come up during every seminar and in many discussions. They are extending the explanations of SCL (part 6). The document is worth to study. In Germany, several recent natural disasters and technical malfunctions (Elbe and Oder floods in 2002/2005, power blackout in the Münsterland in 2005, the Kyrill storm in 2007) have highlighted the population’s dependence on such (critical) infrastructures. Supply bottlenecks, public safety problems and disruptions to road and rail transport have revealed the vulnerability of modern societies and made extreme demands on health, emergency and rescue services...."
Click HERE for the 250 page report [English]. The report is one of the best descriptions I have seen. It is really worth to read, to understand and to follow. Click HERE for the report "Puerto Rico 'heartbreaking' five weeks post-storm"
Click HERE for the report "Puerto Rico Struggles With Power Recovery ..."
I hope something like that will not happen during winter time in Germany. Note that we have more than natural disasters: Man-made aging infrastructures and aging workforce. Security is more than a buzzword these days. You should be very serious about the security of your substation protection and automation system. What happened? A port scanning tool in an IEC 61850 GOOSE based substation protection system had a very negative impact on the GOOSE publisher and subscriber: The Relays stopped to operate!! They had to be manually rebooted. Port scanning may provide a lot (too much) of stress to the devices and communication system. Such a crucial load has to be taken into account during the design of the devices and of the whole system. Theoretically this payload should be taken into account as part of the system engineering ... part of the System Configuration Description (SCD). Any unexpected traffic avalanche may have a serious impact on the stability of the system! Click HERE for Joe's report. I guess that the GridEx network monitor would have raised the red flag seeing the message avalanche in the transmission substation. Teamwork makes the dream work - and keeps the power flowing! Click HERE for a worth to read report on how to apply IEC 62443. What you have described is unfortunately a known problem. It is really not at all the first time that it happens in the last 10 years, but it is maybe the first time that it is presented to the public. I would like to stress-out that this problem is NOT related to IEC 61850 but it is related to the correct usage of digital technology. Similar situations happened also “before” when proprietary digital technology was used. Maybe they were just more difficult to disclose because also the tools were proprietary. Regarding GridEx, it would have detected the loss of communication among the devices, as it performs the supervision of the GOOSE messages. This would have been written in its report. GridEx performs also network load calculations, but in the case you have described this would not have helped probably. Anyway that information would also have been written in the report. Let me point out that GridEx is an “IEC 61850 passive tool”. GridEx does not talk to any device, does not send any IEC 61850 message…. it can only listen to what happens, without interacting with the system. Also the time synchronization of GridEx can be performed completely independently from the system, with its own independent GPS receiver accessory. Also GridEx works without a PC, so you do not connect the PC to the substation network system. As GridEx doesn’t interact to the system where it is connected to, it cannot cause any damage and it can be connected to the network while the system is in service. The content of the Electropedia (The World's Online Electrotechnical Vocabulary) is now made accessible by XML documents and PSON (REST) through the opendata gateway. I expect that the PSON option will be made available for the complete vocabulary soon. This technical report analyses the impact of encrypted communication channels in power systems introduced with IEC 62351. As defined in IEC 62351 an encrypted channel can be employed when communicating with IEDs and encryption can be adopted at message level as well. For example, the use of encrypting TLS setups according to IEC 62351-3 introduces some issues when Deep Packet Inspection (DPI) is needed to inspect the communication channel for monitoring, auditing and validation needs. In this report we analyze different techniques that can be employed to circumvent this issues when DPI of communications is required. A nice video by ABB (Steven Kunsman) explains "all the benefits of substation digitalization ... it’s little wonder there’s so much interest in the shift to this technology. Supported by the open communication capabilities derived from IEC 61850’s, substation assets are providing a growing volume of health and operational data that’s enabling higher levels of both reliability and performance. This excerpt from an ABB Automation & Customer World Workshop provides key highlights of how the digital substation is also safer, smaller, and simpler to commission and operate than traditional substations." The scope is to specify common available procedures and definitions for conformance and/or interoperability testing of the requirements of IEC 62351-3, the security extension for profiles including TCP/IP. Both documents indicate that the security measures defined by the series IEC 62351 are becoming more important! Hope that more experts in the power delivery domain will understand the impact! Commenting period and ballot closes 2017-12-01. Proposes new logical nodes and the extensions to the existing logical nodes that can be used in typical DA applications. Provides configuration methods for IEDs to be used in DA systems. over a wide area distribution network. This draft is very detailed and easy to read. IEC 61850-8-1 defines how the abstract IEC 61850 services (ACSI) are mapped to MMS (ISO 9506). The MMS protocol runs on ISO/OSI Transport Layer, ISO/OSI Session Layer, ... For IEC 61850 it has been decided to use TCP/IP as transport protocol. TCP has to be "extended" by some definitions to get the same services and protocol features as provided by ISO/OSI Transport Layer class 0: The IETF RFC 1006 defines how to use TCP for MMS. RFC 1006 defines among other issues to use TCP Port number 102 for the MMS Server role. 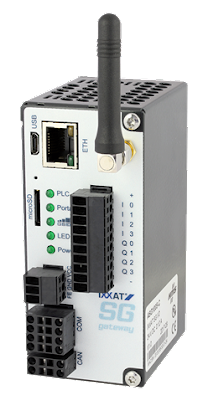 Any IEC 61850 Server role has to run on port 102 - independent of the platform it is running on: protection device, control device or a Windows PC. Siemens SIMATIC S7 PLCs use RFC 1006 entitled "ISO Transport Service on top of the TCP" (ISO-on-TCP) as a protocol extension for the TCP protocol for connection between two systems. RFC 1006 (and thus Port 102) is used for standard connections in the SIMATIC environment. I have come across situations where PCs are running SIMATIC S7 tools that are using Port 102! In that case you cannot run an IEC 61850 Server role on the same PC (with the same IP address) - because Port 102 is already in use!! If you have trouble running an IE 61850 Server role on your computer - check also if Port 102 is already in use. In one case we figured out this situation with a server model (SCL) that we tried to simulate with the Omicron IED Scout! IED Scout reported an error: TCP Port 102 already in use. We stopped the SIMATIC S7 application to free the Port 102. This is another use case where the IEDScout reports very useful error information! Click HERE for the Server demo (shown on the right). Click HERE for a list of ports used by Siemens SIMATIC S7. Are Devices Using IEC 61850 Vulnerable? Devices that implement IEC 61850 may be vulnerable - depending on the measures (not) implemented to protect your SYSTEM! There are many layers of security that can be build into the system to make is less vulnerable. IEC 61850 needs special security measures to hide the semantics of the information being exchanged in a system. IEC 61850 has well defined models for controlling switch gears: Logical Node CSWI.Pos for operating any kind of switchgears liek circuit breaker, dis-connector or earthing switches. If a client (SCADA, RTU, Proxy, ...) has "open" access to an IED, it could use the self-description and figure out which CSWI instances are available ... and could try to use MMS Write to open or close a switch gear. In a bad system design, this may work. A high level of security would not (easily) allow other clients (except those that are designed to operate) to operate a switch gear. Security measures have to be implemented to prevent misuse of the self-description. Even without the self-description, it may be possible that somebody gets access to the SCL file of the system to "read" the models from an XML file. As a consequence: XML files need to be secured as well ...! You will find solutions for many of the known security problems in the standard series IEC 62351! The definitions have to be implemented - the paper standards do not protect your systems! Click HERE for the report [pdf, 20 pages]. By the way, the report mentions IEC 60870-5-101/104, IEC 61850 and OPC UA. Orientado a la proteccion, control y automatizacion de subestaciones electricas, haciendo uso de: GOOSE Sampled Values, SCADA y el lenguaje de configuracion SCL. EI estandar IEC 61850 es aplicado desde hace varios anos en el diseno de nuevas subestaciones alrededor del mundo. Durante el seminario, los mäs experimentados y reconocidos ingenieros especialistas a nivel global le ensenarän como utilizar y aplicar la norma IEC 61850 en el diseno, supervision y control de subestaciones digitales para el sector electrico. Se harän aplicaciones präcticas utilizando herramientas de prueba, software e IEDs de diferentes fabricantes. Dei 27 al 30 de Noviembre del 2017. Horarlo: De 09:00 a 17:30 horas. Joe Weiss writes: " ... What I have found is that each time another IT cyber event occurs more attention goes to the IT at the expense of ICS cyber security. The other common theme is “wait until something big happens or something happens to me, then we can take action”. Because there are minimal ICS cyber forensics and appropriate training at the control system layer (not just the network), there are very few publicly documented ICS cyber cases. However, I have been able to document more than 950 actual cases resulting in more than 1,000 deaths and more than $50 Billion in direct damages. I was recently at a major end-user where I was to give a seminar. The evening before I had dinner with their OT cyber security expert who mentioned he had been involved in an actual malicious ICS cyber security event that affected their facilities. For various reasons the event was not documented. Consequently, everyone from the end-user, other that the OT cyber expert involved, were unaware of a major ICS cyber event that occurred in their own company. So much for information sharing." My personal experience in this and in many other areas is: People tend to hide information instead of sharing information. I found many times that SCADA experts do not really talk to RTU people, substation automation or protection engineers ... and not at all to the people that are responsible for the communication infrastructure. Most engineers likely tend to focus on their (restricted) tasks and not looking at the SYSTEM and its lifetime. Am I contributing to solve the challenges to build a quite secure system - or am I part of the problem? I repeat what I have said many times: Teamwork makes the dream work! Become a team player! This publication is worth to read ... some definition of what Cassandra Coefficient is could be found HERE. Industrielle Automatisierungssysteme (Industrial Automation and Control Systeme, IACS) durchdringen viele Bereiche der kritischen Infrastrukturen wie Versorgungssysteme für Strom, Gas, Wasser, Abwasser, ...). HIER für den Hauptteil der Arbeit klicken. Diese Masterarbeit ist absolut lesens- und beachtenswert! "Hence we must believe that all the sciences [all the aspects of a distributed Automation System; vom Verfasser des Blogposts eingefügt] are so interconnected, that it is much easier to study them all together than to isolate one from all others. If, therefore, anyone wishes to search out the truth of things in serious ernest, he ought not to select one special science (aspect), for all the sciences (aspects) are cojoined with each other and interdependent." Die Herausforderungen der heutigen und zukünftigen Generationen bestehen darin, ganzheitlich zu denken und zu handeln sowie die vielen überlieferten und damit auch vielfältigen Erfahrungen von unseren Vorfahren, besonders aber von solchen Menschen zu berücksichtigen, die unmittelbar in der Praxis tätig waren und gegenwärtig sind! [Aussage wurde von einem guten Freund ergänzt]. In diesem Sinne geht mein Dank an Frau Fluchs, die mit ihrer Masterarbeit einen Grundstein gelegt hat. Symptomatisch ist, dass oft grundlegende Arbeiten "nur" von Studenten durchgeführt werden. Schade! Die angesprochenen Themen betreffen uns ALLE! "Die übergeordnete Thematik der vorliegenden Arbeit ist die ICS-Security. Das Thema besetzt im Vergleich zu der „gewöhnlichen“ IT-Security bislang eine Nische. Vor allen produzierende Unternehmen und Betreiber kritischer Infrastrukturen müssen sich damit befassen – Otto Nor-malverbraucher bekäme zwar die Auswirkungen eines Security Incidents potenziell zu spüren, hat aber keinen direkten Einfluss auf die ICS-Netze und deren Sicherheit." Wir als Otto-Normalverbraucher haben einen sehr großen direkten Einfluss auf die Sicherheit unserer Infrastrukturen: Indem wir bereit sind, mehr für unsere Grund-Versorgung zu bezahlen!! Taiwan was hit recently by a massive blackout caused by simply closing two gas valves that powered six power generators with a total capacity of some 4,0000 MW or 4 GW! How could that happen? The peak generation did not have reserve power. So the 4 GW tripped could not be compensated by other generations. It happens so fast! The general stress was one aspect - another was an error made by humans, "almost 9 per cent of the island’s generation capacity, stopped after workers accidentally shut off its natural gas supply". I am not aware of any details of the human error. One thing is clear: Our infrastructure is really under stress! It will take some efforts to get it fixed. It is a pity that new build infrastructure collapses and destroys old (still working) infrastructures. We have posted a new example extending the use of the Evaluation, Demonstration and Hands-On (EvaDeHon) Package. We will publish from time to time additional models and documentation for interesting applications. The objective is to help you to understand the various topologies and possibilities to use the IEC 61850 technology for the process information exchange. One focus is on the application of the IXXAT (HMS) Smart Grid Gateways. The example offers polling and reporting (Server on PC, Client on IXXAT WEB-PLC Gateway). The download contains the client CID for the gateway, the server CID and the JSON file for the PC. The gateway polls every 2 seconds and receives reports every 5 seconds - these intervals can be configured. Additionally it includes some specific documentation. Smart Cars Under Attack- What Does it Mean for Power Systems? We are quite often looking for smart things: cars, phones, power grids, ... expecting they make life easier or more comfortable. May be ... or may not be. We have to understand and take into account that most of these smart things are under enormous pressure to become hacked. networks and devices are made,”"
Click HERE for the full report on computerweekly. Click HERE for another detailed report also worth to read and FOLLOW. Hm, that is no good news! I hope that the power industry is using appropriate (security) standards to dramatically reduce the risk to hack devices used in power automation systems. One of them is IEC 62351. There are many other measures discussed on this block, e.g., the German BDEW Whitebook. How many more wake-up calls do we need to change our ways how to secure energy delivery services? The more devices are brought into operation the more we need to care about security. A lethal position of the management would be: "It could not happen to our systems - they are all safe. Really? So, my patent was not used by Siemens ... but later I figured out that the CAN bus used the same algorithm I developed for my patent. At that time almost nobody was expecting that years later people would intentionally hack media access protocols!! I remember one person complaining about OSI in the early 80s. He said (in German): "Wer offene Systeme haben will, der ist nicht ganz dicht!" This is not easily to be translated in English - I will try. "Offene Systeme" is "Open Systems". "Dicht" means "close" - and if someone is "nicht dicht" means: you are crazy. So: "If you want to have Open Systems - you must be crazy." Click HERE to have a look at my patent (EP0110015). I am really wondering that the old and for long time used protocols like CAN make that lethal trouble 30 years later! What will be next? By the way, any Ethernet multicast shower in a subnetwork has the potential to crash a "smart" device. If the Ethernet controller has to filter out too many multicast messages it may stop to work. Resume: Any system needs to be carefully designed, engineered and configured. Do you want to have a problem? No Problem! The industry has to learn that a lot of changes in the way we automate today has to come!! That requires SMART People - and a lot more resources ... the costs of our living will definitely increase. I question, if we have really made a lot of progress since the early 80s. Open Sytsems are too "open" ... we have to find ways to close the points where hacker could tap and "re-use" the messages in order to stop talking. Clarification regarding session resumption and session renegotiation invocation based on session time. Diese unschlagbar günstigen Trainingskurse vermitteln über 30 Jahre Erfahrungen mit Informationsaustausch-Systemen basierend auf internationalen Normenreihen wir IEC 61850 (allgemeine Anwendungen in der Energietechnik, Schaltanlagen, Transport- und Verteilnetze, Wasserkraft, Kraft-Wärmekopplung, Speicher, ...), IEC 61400-25 (Wind), IEC 60870-5-10x (traditionelle Fernwirktechnik), IEC 61158 (Feldbus), IEC 62351 (Sicherheit in der Informationstechnik) und vielen anderen. Planen Sie schon heute das entsprechende Budget für das Jahr 2018! Clicken Sie HIER für Inhalte, Preise und Anmeldeinformationen. Recently a study on cyber security threads regarding PV inverters was published, in which SMA was mentioned. The topic has also since been seized upon by other media outlets. Unfortunately, the claim has caused serious concern for SMA customers. SMA does not agree with this article, as some of the statements are not correct or greatly exaggerated. Click HERE for the complete response by SMA. I hope that all vendors of network connected devices are as serious as SMA when it comes to security. Have you heard about FUZZING? Wikipedia explains:"Fuzzing or fuzz testing is an automated software testing technique that involves providing invalid, unexpected, or random data as inputs to a computer program. The program is then monitored for exceptions such as crashes, or failing built-in code assertions or for finding potential memory leaks. ..." Wow! Is there any link to IEC 60870-5-104, OPC UA or IEC 61850? Yes there are people that have used the technique to test these and many other protocols. The "State of Fuzzing 2017" report just published by SYNOPSIS (San Francisco) wants to make us belief that, e.g., the above mentioned protocols are weak and may crash easily. What? The best is to read the report and my comments below. Other experts have commented similarly. Any kind of testing to improve IMPLEMENTATIONS of protocols is helpful. You can test implementations only – not the protocols or stacks per se. One of the crucial questions I have with the fuzz testing report is: Which IMPLEMENTATION(s) did they test? Did they test 10 different or 100? Open source implementations only? New implementations or old? Or what? Testing is always a good idea … more testing even a better approach. At the end of the day, customers have to pay for it (e.g., higher rates per kWh). I would like to see more vendor-independent tests of any kind … but the user community must accept the higher costs. Are you ready to pay more? How much more would you accept to pay? 50%? As long as vendors have the possibility to self-certify their products we will see more problems in the future. What about testing the wide spectrum of application software? Not easy to automate … to fuzz. The more complex an application is, the more likely it is that there will be serious and hard to find problems. Crashing the protocol handler and application is one thing - what if they don’t crash but bad data gets through? The report is a nice promotion for the fuzzing tools offered by Synopsis. The last page states: "Synopsys offers the most comprehensive solution for building integrity—security and quality—into your SDLC and supply chain. We’ve united leading testing technologies, automated analysis, and experts to create a robust portfolio of products and services. ... our platform will help ensure the integrity of the applications that power your business." Testing is very crucial and very complex. I hope that users of devices applying well known protocols in power system automation will soon better understand HOW important testing is - require various tests for devices they purchase and are willing to pay for it! Start with an education phase as soon as possible - before it is too late. This document contains a summary of information compiled from multiple publicly available sources, as well as analysis performed by the SANS Industrial Control Systems (ICS) team in relation to this event. Elements of the event provide an important learning opportunity for ICS defenders. The sharing of this report is very much appreciated. It is very rare to get such a professional publicly available analysis about a significant and terrifying event in the control system world. Defenders must take this opportunity to conduct operational and engineering discussions as suggested in this DUC and enhance their capabilities to gain visibility in to their ICS networks and hosts. The community must learn as much as it can from real world incidents and not delay; we expect adversaries to mature their tools and enhance them with additional capabilities. I recommend you to study this document and get trained by the real experts - for the good of your country! Don't accept the decision of your HR ... not providing you the budget for training. Quite often HR managers believe that our systems are secure - no need for training on security, communication standards, etc. By the way, the SCADASEC blog (as a crucial platform for ICS defenders and other people) is a nice place to visit, discuss and learn issues related to the topics discussed in the paper. The voting period closes on 2017-09-29. "The power system sector is adopting security measures to ensure the reliable delivery of energy. One of these measures comprises Role-based Access Control (RBAC), allowing utility operators, energy brokers and end-users to utilize roles to restrict the access to equipment and energy automation functionalities on a need-to-handle basis. The specific measures to realize this functionality have been defined in the context of IEC 62351-8. It defines 3 profiles for the transmission of RBAC related information. This information is, but not limited to, being contained in public key certificates, attribute certificates, or software tokens. Moreover, especially for IEC 61850, it defines a set of mandatory roles and associated rights. The standard itself also allows the definition of custom roles and associated rights, but this is not specified in a way to ensure interoperability." Data and communication security is a crucial issue in the communication between multiple IEC 61850 clients and an IED with a single IEC 61850 Server. The administration of the roles and further behavior requires a highly complex (centralized!?) administration and a complex functionality in each IED implementing RBAC. The bulk of resources needed are mainly independent of the MMS protocol and services. People that want to use other protocols cannot really expect that the cost for getting secure communication and data will be lowered - the most efforts are related to non-protocol issues. The second, third, fifth, and sixth bullet are most crucial. In addition to the cost of implementing RBAC (including the other required parts of the series IEC 62351) one has to understand that the operation, management, engineering, and configuration of RBAC consumes a relatively huge amount of resources of the embedded controllers or other platforms. That is one of the crucial reasons why many IEDs installed today cannot (and likely will not) be upgraded for measures defined in the IEC 62351 series. Recommendation: As soon as possible get started to understand the impact of the measures defined in IEC 62351 and how to implement some or many of these measures. Sensors all over will be more important in the future: First to automate processes and second to monitor the automation systems. ICS cyber threats are morphing into compromise of plant functionality – do we have the right tools? The report by Joe Weiss is worth to read. Click HERE for reading the complete report. The discussion is about compromising an actuator (Valve, ...) and let the physics do the damage! Joe resumes: "Without sensor monitoring, it is NOT possible to see the precursor to these kinds of conditions until it is too late." I have discussed the reported issues with an expert of valves in industrial process control applications. He confirmed that the cavitation (bubble or Wasserblasen) effect is known for long. But there are only a relatively few applications of (vibration) sensors installed to measure the noise produced by cavitation (see video at Youtube) to figure out that something is going wrong. The quality attributes that come with all values could be used to flag that the value is valid or not. Additionally the sensor may have a health problem (figured out by a diagnosis routine) that can be reported using the TTMP.EEHealth.stVal attribute (EE - external equipment). All models and services have to rely on good hardware and software! Or we get: Garbage in - Garbage out! In our seminars and hands-on training courses we discuss these and many other topics in detail. Now firmly established as the European end-user forum for IEC 61850 experts and implementation leaders, this dedicated 3-day conference, exhibition and networking forum provides the information, inspiration, and connections you need to propel your IEC 61850 deployments further faster! Attending this conference will give you a flavor of the market for IEC 61850 based systems. After the conference you may have a lot of questions and my look for some senior experts that will guide you vendor-independently into the magic of the standard series. Please have a look what kind of training FMTP and NettedAutomation offer you in October and December 2017 in Karlsruhe (Germany). ENTSO-E is actively supporting the application of IEC 61850. They believe that "The IEC 61850 Standard for the design of electrical substation automation addresses many crucial aspects of TSO communications, data modeling and engineering in order to reach seamless interoperability of different vendors’ subsystems within the TSO system management architecture." ENTSO-E published an Update on their activities related to IEC 61850 in July 2017. Click HERE for reading the complete the report. This is really the most downloaded document since then - and still in 2017! Click HERE for getting a copy. It is interesting that so many people are still interested to see the difference between IEC 61850 and the other IEC TC 57 standard series. Now, in 2017 we have learned that IEC 61850 goes far beyond the other standard series. The RTU standards like 104 or DNP3 are still in widespread use. Utilities are expecting that many vendors of RTUs will start to discontinue to supporting these standards. That is one of many reasons why more utilities are starting to get involved in understanding IEC 61850. Both CDV (committee draft for vote) are accessible for PUBLIC comments (http://www.iec.ch/comment). These documents of IEC PC 118 are likely to have an impact on the work done and under development of IEC TC 57 and IEC TC 65. With your comments a duplication of work may be prevented. Please use the opportunity to provide your comments through the IEC channel. IEC 61850 Part 90-9: Use of IEC 61850 for Electrical Energy Storage Systems is progressing these days. The latest draft describes the basic functions of Electric Energy Storage System (EESS) and the information model of the interface to integrate EESS in intelligent grids and establish the necessary communication with standardised data objects. The next official draft is expected to be published soon. This draft is connected with IEC 61850-7-420, as well as IEC 61850-7-4:2010, explaining how the control system and other functions in a battery based electric energy storage unit utilizes logical nodes and information exchange services within the IEC 61850 framework to specify the information exchanged between functions as well as information that individual functions need and generate. The first Edition of IEC 61850-7-420 provides an information model for batteries which was derived from the proposed data objects of part 7-4. Those data objects follow the requirements of batteries that are supposed to be used in substations as an auxiliary power system and as backup power supplies. For this purpose it was sufficient to only model the discharge function. Therefore it is necessary to prepare new logical nodes to be applicable for grid connected electrical energy storage systems. This draft provides necessary information within 61850 based object model in order to model functions of a battery based electrical energy storage system as a DER unit. For intelligently operated and/or automated grids, storing energy for optimising the grid operation is a core function. Therefore shorter periods of storing energy with charging and discharging capability is also an indispensable function. Charging and discharging operations need to be modelled thoroughly and are in the focus of this technical report.